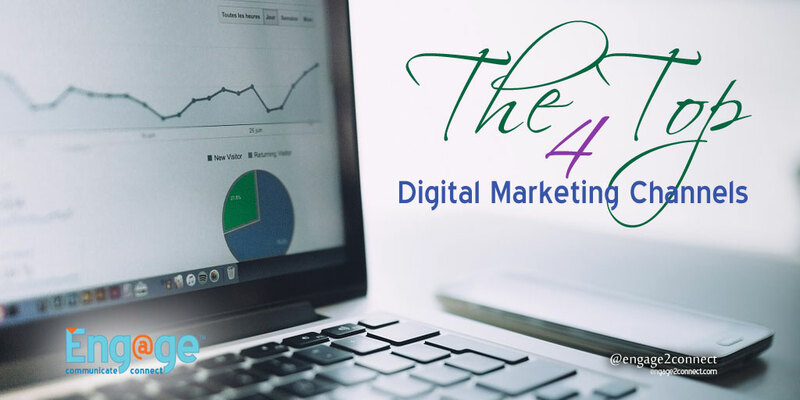 Top Four Digital Marketing Channels – Surprise? Digital marketing channels such as social media, content marketing, email, search and paid media are just a handful of the options marketers have at their disposal today. Many digital marketers and brands tend to niche on certain channels and spend less effort on others, but the question is are they doing this based on data or personal expertise and preference? Just because you know a certain digital marketing channel or are more experienced at executing that channel, doesn’t necessarily mean that it will get the best results for your brand. What would you say to the fact that neither search, nor social media were the top marketing channels. Not even content marketing or paid media caught the top marketing channel honor. The number one digital marketing channel today is considered to be email marketing. Are you surprised? Not only is email marketing among the top marketing channels used by brands and marketers, recent reports show that it is returning revenues that are higher than all other digital marketing channels combined! Additional research by The Relevancy Group goes further by stating that marketing executives attribute the same amount of revenues coming by way of email marketing as they do to website, social media, display ads and other top marketing channels. We believe this is something being overlooked by far too many small, medium and local businesses. Though other studies has placed email marketing as the second most effective digital marketing channel, many of the most recent research has it at or near the top. That is why we are giving it the number one spot. Having said that, it is important to point out that like all marketing types, every industry and niche will differ and see better results from one marketing channel or another depending on their market, audience and industry. However when all things are considered, email seems to still hold the overall top marketing channels spot. In the Email Marketing Industry Census 2015 done by Econsultancy, the numbers support email marketing as the best marketing channel by agencies and number two by internal marketing departments. Both market segments stated that email provides excellent to good return on investment. Here are the top four digital marketing channels as stated by internal brand marketing departments in this study. 1 – Organic Search: SEO, or search engine optimization was rated the best digital marketing channel by 73% of respondents. 2 – Email Marketing: 66% of the companies surveyed stated that email marketing was either excellent or good at delivering revenue and ROI. 3 – Paid Media: Paid media, paid search or PPC was determined to be the third most successful component of digital marketing at 63%. This includes paid search as well as social media ads. 4 – Content Marketing: Not surprisingly content marketing is in the top four here. In fact, 58% of brands said that content marketing returns excellent or good ROI. Surprisingly absent from the top digital marketing channels were social media marketing, display ads, mobile marketing and affiliate marketing. Social media marketing only received a 35% excellent or good rating by companies using it and display ads did even worse by reaching only 34% share. Even affiliate marketing received a respectable 44% rating for excellent or good revenue returns, which overshadowed mobile marketing’s effectiveness dramatically with a measly 35% rating. What surprised us the most out of all of the least effective digital marketing channels was how well old school, offline marketing fared compared to these other low digital channels. Would you believe that 39% of both agencies AND companies selected traditional offline direct marketing as highly effective? What Do These Studies Prove? When you take a hard look at the data provided by these multiple difference studies, you can only come to one clear conclusion. That conclusion should be that omni-channel marketing that is comprised of multiple marketing channels working together is the most powerful way to see the highest marketing returns. The top 4-6 channels used effectively together will always net the best overall returns. Determining which channels to combine in your marketing efforts is only part of the battle. As we have continually said, “If you are in the right digital marketing channels, but you are doing it poorly, inconsistent and not innovating, you still won’t see results.” The research provided in this post should guide you to determine the multiple digital marketing channels that best fit your industry, but launching with these top marketing channels or pivoting your current marketing to incorporate them is just the tip of the iceberg. You now need to uncover the art and science behind finding, attracting and capturing your target customer.